How does Nutribuddy help me lose weight? 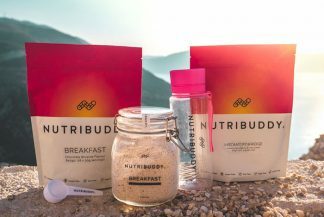 All Nutribuddy products can help you to lose weight and keep in shape when used in conjunction with a healthy lifestyle. We aim to offer an enjoyable, sustainable and healthy solution to weight loss. That’s why we avoid using stimulants or laxatives in our products. You can learn more about the specific ways each product helps on its product page. 1. Our breakfast products, such as Breakfast and Porridge are quick and easy to make and consume. They help to stop you from skipping breakfast which is essential to kick-start your metabolism. They also help to keep you feeling full till lunch. 2. Nutribuddy products are low in calories but very filling, acting as appetite suppressants to reduce cravings for unhealthy and high fat snacks. 3. We help you to beat cravings with sweet, filling and heathy snacks such as Hotslim. 4. Hunger Fix capsules are natural tablets made from the root of the Konjac plant. They contain soluble fibre which helps suppress your appetite helps you to eat smaller portions. 5. Our protein products such as our sculpting shake are very filling yet low calories and contain other healthy weight loss ingredients such as green tea which can help to boost your metabolism. Next post: Are your shakes smooth or do they have bits in them?